In the run-up to Army Day, which is celebrated in the Islamic Republic of Iran on April 18th, we will focus on defense and technology ties between Russia and Iran that the two countries consider of particular importance. The first instances of defense and military technology cooperation between Russia and Iran date back to the 17th century, when Russian Tsar Alexei Mikhailovich decided to build a naval fleet on the Caspian Sea to guarantee protection for the Volga-Caspian trade route. What was of special interest about the birth of the Russian Navy was that Persian merchants became interested in the far-reaching business gains from such a development and provided funds for the building of the first Russian warship «Orel». It was this event, which occurred in 1667, that marked the beginning of the defense and technology cooperation between Russia and Persia. Military ties between Russia and Persia made themselves felt throughout the entire history of bilateral relations. The Persian Campaign of Peter I (1722) pursued the purpose of assisting the ruling dynasty in Iran in its efforts to quell domestic mutinies. Simultaneously, trade with Persia strengthened Russia’s defense potential – Persia supplied Russia with potassium nitrate used in the production of gunpoweder. In the 18th century the Russian government deemed Persia a major military partner, given that it needed an ally in the East, particularly for its operations against the Ottoman Empire. Starting from the early 19th centuy Russia pursued the policy of acquiring territories from Persian rulers. Britain, France and Russia were involved in military and diplomatic games for spheres of influence in Persia and for Persian territories. The two Russian-Persian wars (1804-1813 and 1826-1828), regardless of Moscow’s and Tehran’s current interpretations of them, provided valuable experience for both countries, which derived lessons from this experience, including for military and strategic purposes that served the tactical needs of their armed forces. In this respect, the history of the “Bakhandaran” regiment stands out. Consisting of former soldiers and officers of the Russian army, the regiment distinguished itself in almost all the wars that Iran waged with its neighbors at the time, especially in Afghanistan and in the battles of the Iran-Turkey war of 1821-1823. The 19th century was challenging for Iran. The Russian penetration, including military, into Iran intensified in the second half of the 19th century, largely due to the creation by Russia of the Persian Cossack regiment, which later became known as the Persian Cossack brigade. The Persian Cossack Brigade had a tangible impact on the military and political situation in Iran in the late 19th - early 20th century. Later, during World War I, the brigade was transformed into a division and in February 1921 its command went to Colonel Reza Khan, who created on its basis a nationwide regular army. Fairly soon Reza Khan became Minister of War, and on December 12, 1925 he was proclaimed Shah of Iran. Diplomatic relations between Soviet Russia and the Shah of Iran began on May 20, 1920, when the governments of the RSFSR and Persia exchanged notes on mutual recognition. Officially relations between Persia and the RSFSR were established after the signing of the Soviet-Iranian Treaty in Moscow in 1921. In addition to issues of military cooperation, Article VI of the Treaty envisaged the possiblity for Moscow “to bring its troops to Persia in order to take the necessary military measures in the interests of self-defense”. Later on, in the 1920s and 1930s, the Reza Shah government, adverse towards the USSR, severed nearly all military and political contacts. 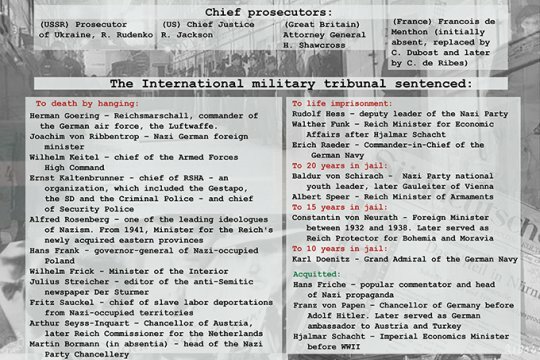 Moreover, in the early years of World War II, the Iranian government openly supported Nazi Germany, which ultimately prompted the USSR and Britain to dispatch troops to Iran on August 25, 1941. Reza Shah abdicated in favor of his son - Mohammad Reza Pahlavi. On January 29, 1942, the USSR, Britain and Iran signed a Union Treaty pledging to "respect the territorial integrity, sovereignty and political independence of Iran." Under the treaty, the USSR and Britain received the right to "deploy ground, sea and air forces on the Iranian territory in quantities they deem necessary". This treaty became the foundation for the creation of the Persian corridor for the supply of military hardware to the USSR under the Lend-Lease Program. The corridor accounted for 23.8% of all military cargoes bound for the USSR during the war. In war years, military contacts between Iran and the USSR were restricted to the transportation of military hardware and equipment supplied by the Allied powers to the USSR. During World War II, the United States strengthened its positions in Iran. The two parties signed a number of agreements thereby paving the way for years of activity of three American military missions in Iran - ARMISH, MAAG, GENMISH - which spread to all armed forces in the country. After the end of the Second World War and the beginning of the Cold War, the Shah's government yet again assumed an essentially hostile policy towards the USSR. Iran became a US satellite and even though Moscow did its utmost to reverse the tide and “tear off” Shah Mohammad Reza Pahlavi from the Americans, its attempts failed. The rapprochement between Iran and the United States, which was fraught with the deployment of American missile bases in close proximity to Soviet borders, angered the Soviet leader, Nikita Khrushchev, who raised the issue of implementation of Article VI of the Russian-Iranian Treaty of 1921. Most likely, this had an effect on Mohammad Reza Pahlavi. On September 15, 1962, the governments of the USSR and Iran exchanged notes on their intention not to provide foreign states with the right to deploy missile bases of any type in Iran. This gave impetus to the development of Soviet-Iranian relations in many areas, including defense and technology. The Soviet Union started to supply Iran with equipment for ground, engineering and artillery troops. Experts say Moscow played a major role in equipping the Iranian ground forces with munitions and military equipment. Iran received a variety of munitions, including tanks of various modifications, infantry vehicles, armored personnel carriers, guns and howitzers, anti-aircraft systems, anti-tank installations, military vehicles, engineering equipment and radio communications. In 1973–1976, Soviet specialists built the Babek facility near Tehran, which to this day remains a major maintenance and repair base for the Iranian ground forces. For 15 years before the Islamic Revolution, Iran enjoyed the assistance of hundreds of Soviet military experts. About 500 Iranian servicemen received training in the USSR. Nevertheless, despite the impressive scope of Soviet-Iranian defense cooperation, the Americans played a major role in the Shahinshah army. The situation changed after the Islamic Revolution in Iran and the overthrow of the Shah government. On coming to power, the Islamic leadership dismissed American military advisers and terminated contracts for the supply of military hardware from the US. The Iran- Iraq war (1980—1988) exerted enormous influence on military construction in Iran. Significantly, Iraq went into warwithout consulting the USSR (even though consultations were providerd by the 1972 Soviet-Iraqi Friendship and Cooperation Treaty), thereby angering Moscow. The USSR responded by interrupting weapons supplies to Iraq and offering military assistance to Iran. However, Moscow’s attempts to restore partnership with Tehran fell through. Ayatolla Homeini, who referred to the Soviet Union as the “red shaitan”, chose to stick to this opinion. However, the Iranian army needed weapons supplies in order to continue warfare, particularly following an embargo which was imposed by western countries against Tehran. This forces Iran to start searching for suppliers of munitions and military hardware abroad. Given the situation, Iran’s Islamic leadership had to accept Moscow’s offer of military assistance and invite Soviet military experts. The Soviet Union supplied Iran with a variety of weapons in the course of the Iran-Iraq war. 1988 – 1989 witnessed a number of remarkable events. The end of Iran-Iraq war, the withdrawal of Soviet troops from Afghanistan, changes in the domestic and foreign policy of the USSR during perestroika, the death of Supreme leader of Iran Ayatollah Homeini and the coming to power of more pragmatic leaders paved the way for the resumption of trade between the USSR and Iran. The more so since Tehran found itself in quite a plight economically and in terms of combat readiness following the devastating war with Iraq. The US and other countries had slapped sanctions on Iran and refused to supply it with weapons. Iran found itsefl in complete isolation, having been cut off from channels through which it could be supplied with contemporary weapons. Times change, though. As he visited Moscow in 1989 prominent Iranian politician Ali Akbar Rafsanjani signed an agreement on “cooperation in strengthening Iranian warfar potential”. As a result, between 1989 and 1991 the USSR and Iran concluded four major inter-governmental trade agreements to a total value of 5.1 billoin dollars, which transformed Iran into a principal recipient of Russian weapons in subsequent years. Iran was thus supplied with long-range anti-aircraft missile systems S-200VE, MiG-29 fighters, Su-24 bombers, Mi-17 helicopters, three modern diesel-electric submarines of 877EKM Project, , armoured personnel carriers, as well as tanks and tank kits to be assembled in Iran, various types of ammunition for all kinds of troops. The incomplete implementation of these contracts resulted in the rapprochement between Russia and the United States, which spilled into the Gore-Chernomyrdin Agreement of June 30, 1995. However, in 2000, the Russian Federation annulled these agreements, and the Russian-Iranian trade ties resumed. In the first decade of the 21st century  Russia supplied Iran with Mi-17 transport and combat helicopters, SU-25 attack planes, “Top-M1” anti-aircraft missile systems, which were designed to defend state property and military facilities, including the nuclear power plant in Busher, nuclear centers in Tehran, Isfahan, Natanz. In a period from 2000 to 2007 Russia enjoyed the status of top weapons supplier to Iran accounting for about 85% of Iran’s military imports. Iran went on number three among recipients of Russian weaponry, with a total volume of supplies amounting to nearly 2 billion dollars. However, the nuclear agreement – the Joint Comprehensive Plan of Action (JCPA) adopted in July 2015 – lifted sanctions from Iran, which was confirmed by the UN Security Council Resolution 2231 of July 20th . Under the Resolution, Iran has no right to acquire, without asking permission of the UN Security Council, heavy weaponry (tanks, armoured personnel carriers, combat aircraft, artillery units with a calibre of 100 mm and higher etc.) In fact, the Resolution imposes a ban on the supply of heavy weapons till October 18th 2020, and missiles – till 2023. In 2018 the situation involving Iran changed after President Donald trump announced the US’ withdrawal from the Joint Comprehensive Plan of Action. This move is fraught with, if not a collapse of the nuclear deal (which is the most likely development), then with the need to adjust its provisions relative to the agreements signed by the parties involved. 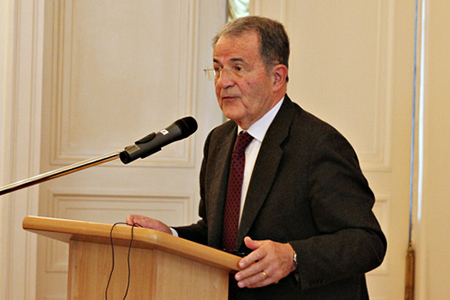 Tehran’s policies could see changes (a withdrawal from the Joint Comprehensive Plan of Action). This will surely lead to a change in Iran’s priorities and push it to search for new sources to acquire weapons and military hardware. Given the situation, Russia could find itself the only potential partner capable of developing defense and military technology cooperation with Iran. 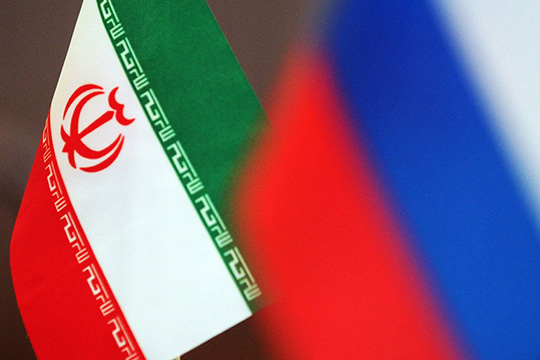 However, the future of the Russian-Iranian trade ties will depend on the situation worldwide and in the region, and will be determined, in the first place, by Tehran’s policy inside the country and abroad, the situation regarding its nuclear program and Russia’s position on many issues that face the global community today. 1.From March 22, 1935 the name of the state was officially changed from Persia to Iran. Iranians always referred to their country as Iran. 4. Minasyan Sergey. The role of Armenians in the Persian army in the first half of the XIX century. // Historical and philological journal. - Yerevan, 2003. - № 1. P. 231-242. 5. This military unit was organized in 1879 by Russian instructor officers at the request of Persian monarch Naser-ed Din- Shah. Its first commander was Lieutenant-Colonel Mikhail Domantovich (would-be general and father of a revolutionary and then Soviet diplomat Alexandra Kolontai). The unit consisted of Russian commanders, officers and petty officers and low-rank military personnel recruited from Iranians. For “test-run” the brigade was provided with Iranian officers. Training of Iranians was held in accordance with the Charter of the Russian Cossacks. Thanks to Russian instructors and officers the brigade quickly became the most combat ready unit of the Persian army. 6.For details, see: N. K. Ter-Oganov. Persian Cossack Brigade. 1879–1921 - M .: Institute of Oriental Studies, RAS, 2012. - 352 pp., Ill.
7. Website of the Ministry of Foreign Affairs of the Russian Federation. [Electronic resource] - URL: http://www.mid.ru/diverse/-/asset_publisher/zwI2FuDbhJx9/content/dogovor-mezdu-rossijskoj-socialisticeskoj-federativnoj-sovetskoj-respublikoj-i-persiej-moskva- -1921-goda- (appeal date 06/04/2019). 12. To denote the terms "weapons and warfare equipment", weapons and military hardware, the abbreviations WWE, WMH or W&MH are used. 13. Evseev Vladimir Valerievich. Russian-Iranian "cautious partnership". Website Messenger of the Caucasus. 07/05/2010. [Electronic resource] - URL: http://vestikavkaza.ru/analytics/22111.html (appeal date: 04/01/2019). 18. Website of the Center for Analysis of the World Trade in Arms (TsAMTO) [Electronic resource] - URL: http://www.armstrade.org/includes/periodics/news/2016/0216/105533562/detail.shtml: (appeal date: 04/07/2019) . 19. Military-technical cooperation between Iran and Russia. Dossier. 01/19/2015 Update Date: 02/16/2016. // TASS website [Electronic resource] - URL: http://tass.ru/info/1707163 (reference date 07.04.2019). 20. Russia completed the implementation of the contract for the supply of S-300 to Iran // Interfax Information Agency website 13.10.2016. [Electronic resource] - URL: http://www.interfax.ru/russia/532308 (reference date 04/02/2019). 22. Resolution 2231 (2015), adopted by the Security Council at its 7488th meeting, on July 20, 2015. // UN site. [Electronic resource] - URL: http://undocs.org/ru/S/RES/2231(2015) (reference date 05/04/2019). 23. Ivan Safronov, Elena Chernenko. Iran is considering the Russian military industry. // The site of the publishing house Kommersant.15.02.16. [Electronic resource] - URL: https://www.kommersant.ru/doc/2917271 (reference date 07/04/2019). 875: 30 seconds to mars. Defense and military technology ties between Russia and Iran: yesterday, today and tomorrow15 April 2019: Defense and military technology ties between Russia and Iran: yesterday, today and tomorrow! лучшие комедии. Defense and military technology ties between Russia and Iran: yesterday, today and tomorrow.